“What do you think about taking the train up to Hakodate for the long weekend?” I asked Dave early Thursday morning as I pulled down our Japan map from the bookshelf. “Who’s the ‘they’ who recommended it to you?” He asked between sips. “I went to ask the ladies at the Misawa Information, Tickets, and Tours office, or ITT, where we should go for the weekend. 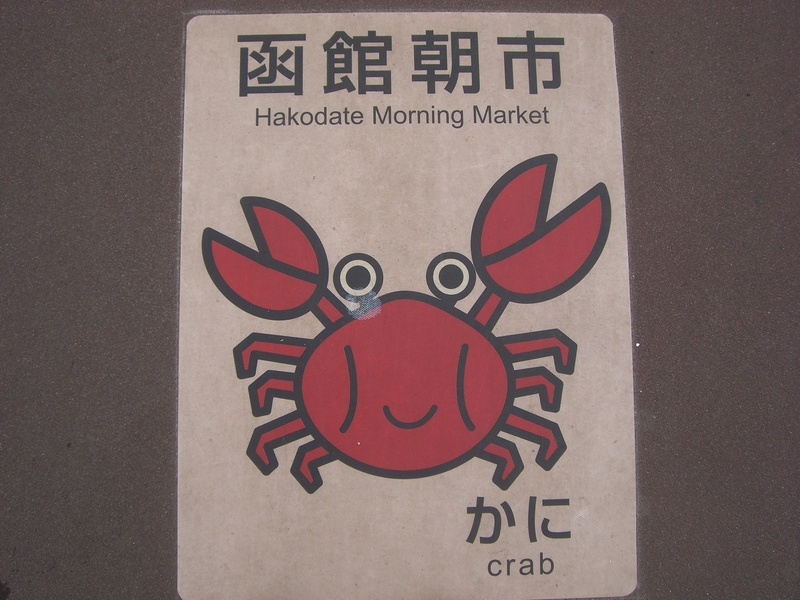 They unanimously agreed Hakodate would be a great choice for a weekend trip. They even offered to organize the whole weekend for us for a small fee, but I opted to look into it myself after I asked you. So? Should I look into it?” I asked. “Sure, go for it. Our yellow house won’t be ready for us to move in for another week. I agree we should definitely get outta this hotel room for the weekend. Let me know what you find out.” Dave said as he got up, refilled his coffee cup, and to went to the bedroom to start getting ready for work. That left me to get busy googling Hakodate hotels on our laptop. I happened on a website called japanican.com. I filled in my search criteria on the home page with “Hokkaido”, the specific arrival date for 2 nights, and I chose “western-style room”, as opposed to “Japanese-style.” I wasn’t sure what the different styles would be, but I imagined tatami mat floors, tiny slippers to wear, and futon mattresses. Let’s settle into this culture slowly and opt for a nice, full bed, I thought to myself. The next blank asked me to choose a price range, but I left it blank since I had no idea the normal price to expect. I clicked the “search” button and four hotels popped up. The first two hotels were about $350 per night. The third hotel only had Japanese style rooms available for the weekend, but the price seemed a little more reasonable at $120 per night. I clicked on the hotel just in case it was the best I could find, and followed the booking instructions until I got to the final confirmation page. The total for the room for two nights was close to $500. I let the total sink in for a moment while I tried to figure what I did wrong. I rechecked my booking details and tried again. Still $500. Dave came back into the kitchen. “I think I did something wrong on this booking form Dave, can you take a quick look?” I asked staring at the screen in confusion. “One more hotel’s on the list. I haven’t looked at it yet, let’s see. Hmm, this one actually specifies per night/per room for two guests. That might be a better choice for us. It’s called Toyoko Inn. $140 per night, non-smoking double, western style. We should book it.” I said hoping I didn’t have to search anymore. “Did they say we should get our tickets today or just buy ‘em when we arrive at the train station?” He asked. “They suggested earlier is better, but since we’ll be leaving in two days, we’ll just buy ‘em then.” I replied. “Great work, little Padawan. Sounds like a fun weekend. If you have time today find out more about that fish market and some fun things to do there. I’ll ask Tomoko-san and Okita-san at the office if they have any suggestions as well. I gotta run. Walk me out?” I poured myself a fresh cup of coffee and met him at the door. I waited patiently as he laced his boots and grabbed his room key and bag. He wrapped his arms tightly around my waist and gave me a lingering goodbye kiss before he walked away. I smiled to myself, feeling warm and loved, as the door closed and I returned to the computer to continue my research. Friday came and went. I enjoyed a short run in the morning while I continued to familiarize myself with the base. I stopped by the post office to get issued a combination for our mailbox and walked to the library to check out a book for our trip. Shogun by James Clavell, should keep me busy. I withdrew plenty of Yen from the ATM just in case we needed cash. When Dave arrived back at the room that evening we ate a quick meal and started packing. We thought we’d walk to the train station in the morning, so we packed our backpacks, some sandwiches and snacks, and laid out our travel clothes. Saturday morning was an early start, but the weather was clear and sunny as we walked the two miles to the train station. We entered the automatic sliding door into the sales office to buy our train tickets and were greeted with a hesitant and nervous smile from the station worker. He turned around in his chair to signal another uniformed worker to trade places with him. 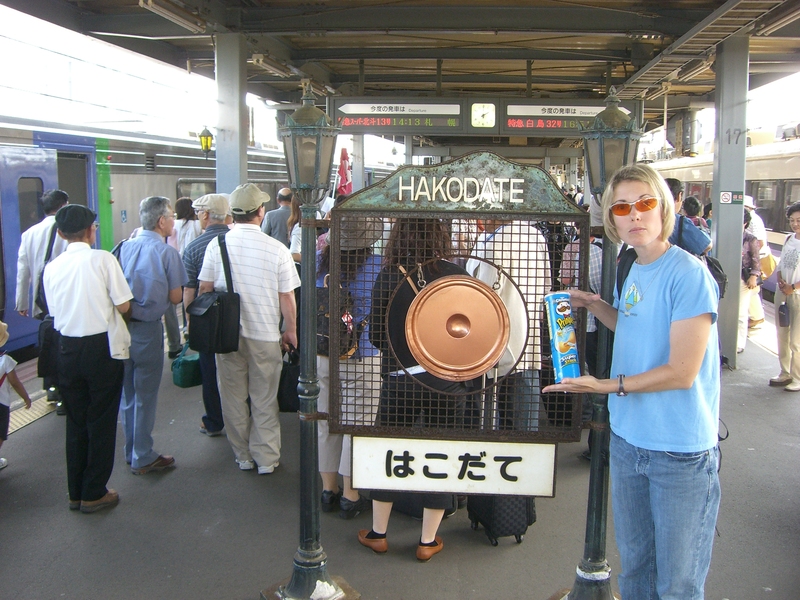 This man was not thrilled to be dealing with foreigners either, but he took a deep breath and slowly asked, “may I help you?” I pointed to my highlighted train schedule and held up two fingers as I slowly asked for two tickets to Hakodate. He repeated my request and simply asked for our “return?” I told him “Monday afternoon” and pointed to the 2:30 P.M. train departure also highlighted on my paper. Both he and I were very grateful for the highlighted form. I paid our fare and he printed our tickets. He handed us each three tickets and tried to explain we were not to get off the train in Aomori City. I am glad I already knew that because he had a lot of difficulty translating the explanation clearly into English. “Wakarimashta,” I replied bowing my head, meaning I understood what he said. 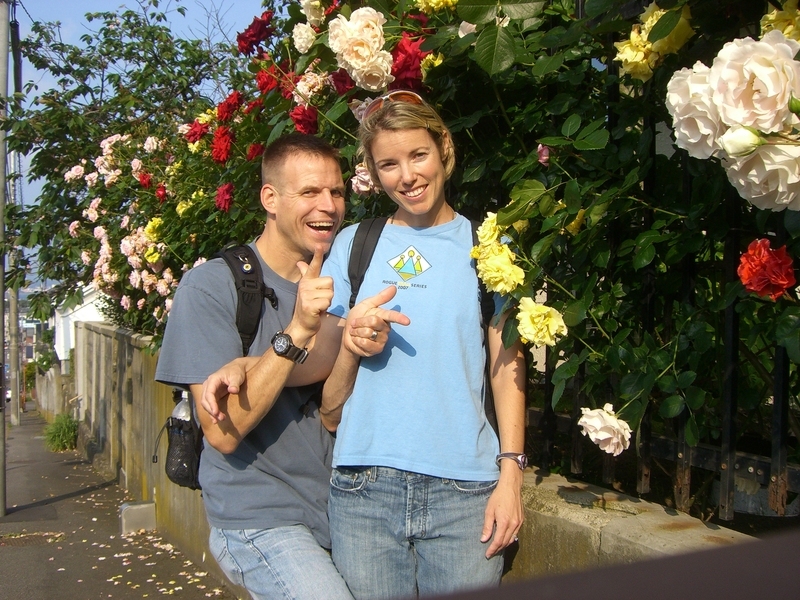 When the train arrived, Dave and I found our assigned seats and sat back for our first long journey through Japan. The train ride was very smooth and our seats were comfortable and reclining. The bathrooms were well maintained complete with a tiny sink that included automatic sensors to spray water, then soap, and start the hand dryer all in one small, efficient space. We sped by small villages, miles of rice fields, and large bodies of water filled with old fishing boats as we traveled north to Aomori City. We didn’t get off the train when we stopped, but waited until the train unloaded passengers and loaded people once again before we set off for the rest of our journey. We both fell sound asleep and were only awoken by the sound of train brakes as we drew near to our final destination. We stopped in the tourist information office at the Hakodate train station and found an english map, brochure of area highlights, and an english speaking woman to give us directions to our hotel. Our hotel was luckily a five minute walk away and the marquee on the roof of the building very clearly spelled out Toyoko-Inn.com. The sidewalk was decorated with colorful cement art depicting squid, fish, large crabs, and octopus. Our hotel was conveniently located in the midst of the fish market square and the front desk staff confirmed that we should be there no later than 5 A.M. to catch a glimpse of the action. Upon check-in we were invited to become a part of the Toyoko Inn Gold Membership program. With our new membership we would save some money on our present booking, get early online reservation privileges, and a free gift upon check-in at any Toyoko Inn throughout the country. We eagerly signed up and were given a free washcloth gift set, our room key, and were directed to the elevator to find our room. I was surprised at the room, but pleasantly surprised. It was very small, maybe the size of a large American walk-in closet, yet very clean and welcoming with folded bathrobes and slippers on the bed. The bed was only slightly larger than a twin size and it didn’t look promising in length for Dave who is just over 6 feet tall. His long legs would definitely hang off the end of the bed if he didn’t sleep at an angle. The mattress was thin, but made of dense, hard material. The pillows were fluffy, yet noisy as your head sank into the collected pile of buckwheat shells that filled up the pillowcase. I recalled an old infomercial about the postural benefits of the “sobakawa” pillow and I was eager to test it out. The bed was high enough off the floor to store our backpacks underneath since there was no closet. We found a hair dryer and an electric hot water pot equipped with a variety of green and black tea bags. There was a fairly significant step up to enter the bathroom. The plastic composite room was tiny, barely giving enough room to step in and turn around, but everything needed was in there. The shower was a deep tub about 3’ deep and about 3’ long by 2’ wide. The shower head was on a long tube dually used as the sink faucet. A simple flip of a valve changed it from a single stream of water to a shower spray. A built-in shelf held large community bottles of shampoo, conditioner, shower gel, new razors, toothbrushes and little tubes of toothpaste. The small toilet had a heated seat and two choices for spray cleaning, pink for female, blue for male, easy enough. The front desk staff was very helpful and there seemed to always be one English speaker on each shift. We asked about climbing Mount Hakodate and set off for our first afternoon’s excursion. I wanted to see the panoramic view of the area from the observation tower on top of the nearby mountain. The climb was not terribly challenging. We stopped in the clearings to lookout over the city as we climbed and stopped to listen to the new and unique sounds of the birds. I have never been to the rain forest, but I imagine the sounds we heard were very similar. The woods were thick and dense with large, heavy branches arching over and shading our path. The climb took a couple of hours giving us just enough time and daylight to look around as the sun began to disappear over the city. Looking southward we could just make out the main island of Honshu and the Hakkoda Mountains. 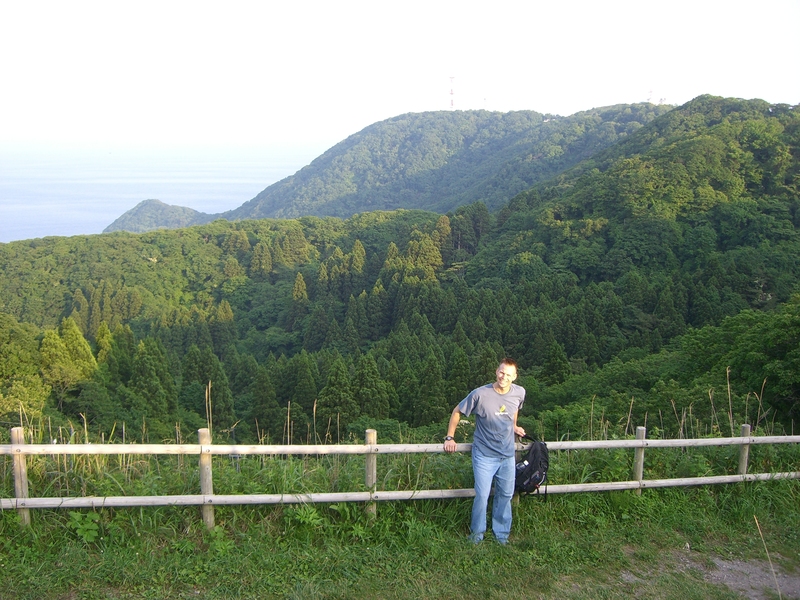 To the east we were viewing the Tsugaru Strait extending into vast expanse of the Pacific Ocean. I have never lived near an ocean, but here, looking out over the never-ending horizon of water, I was beginning to realize with amazement and a twinge of sadness how far removed we were from our home. Shaking off the encroaching melancholy, Dave and I found a comfortable bench facing northward to watch the Hakodate city lights begin to twinkle and glow as darkness settled over the mountain. Our conversations solidified our resolve to make the best and most out of our next few years in Japan, come what may. When we started to get chilled and a bit hungry we splurged on tickets and rode the tram to the bottom of the mountain. While on our way down I read more of our brochure. I began noticing a trend that the Japanese love their top 10 lists of every sight and natural feature in the country. 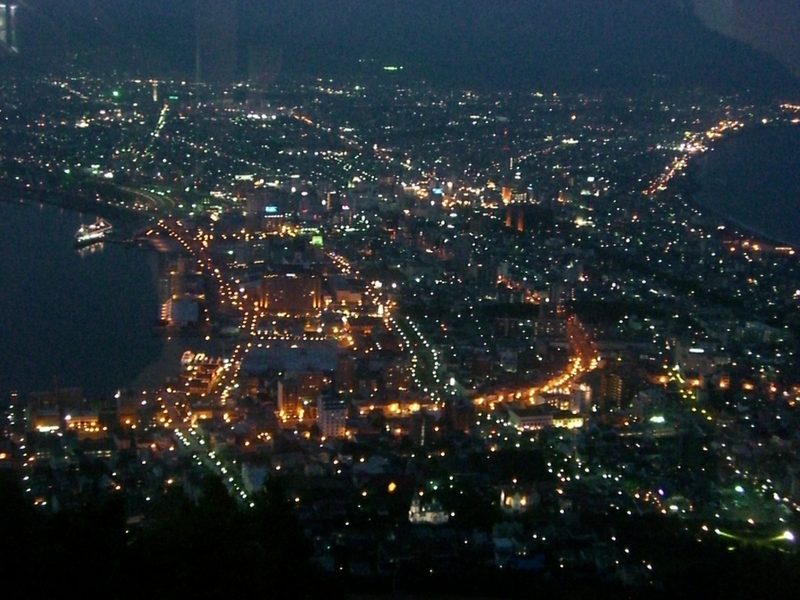 The view from the top of Mount Hakodate was no exception as our brochure claimed it as one of the top 3 views to see in all of Japan. We agreed it had been definitely worth the climb. We stopped and ate dinner at a busy Irish pub, listening to the music, and enjoying familiar food before we made our way back to the hotel for a quick night’s sleep. The fish market filled the streets for blocks and blocks early Sunday morning. Vendors were bustling about setting out their fresh catches in styrofoam and ice, preparing for the crowds. We made our way outside at 5:00 A.M. determined not to miss a thing. 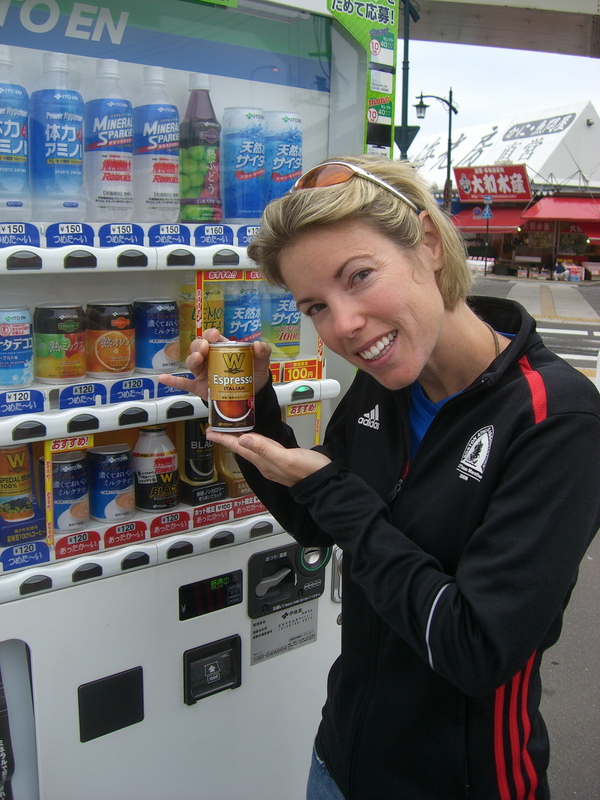 We bought a couple of hot canned coffees from a vending machine outside the hotel and started exploring. 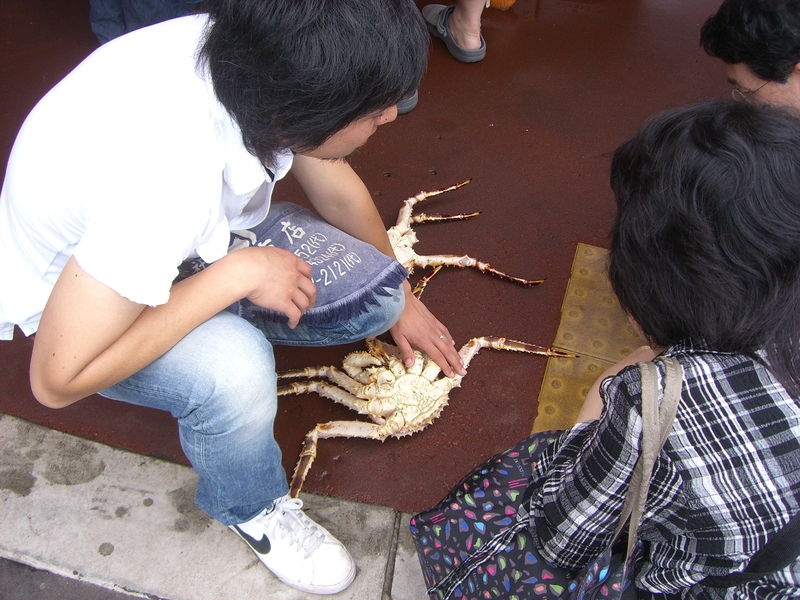 We watched as vendors pulled a king crab out of a styrofoam crate, turned it upside down and explained to buyers the proper way to judge a good crab. We were disappointed we didn’t know very many Japanese words yet, but the more patient vendors would try English and let us sample some of their specialities. The smoked scallops were a bit chewy and the salmon eggs were too big for me to enjoy their gushy popping in my mouth. 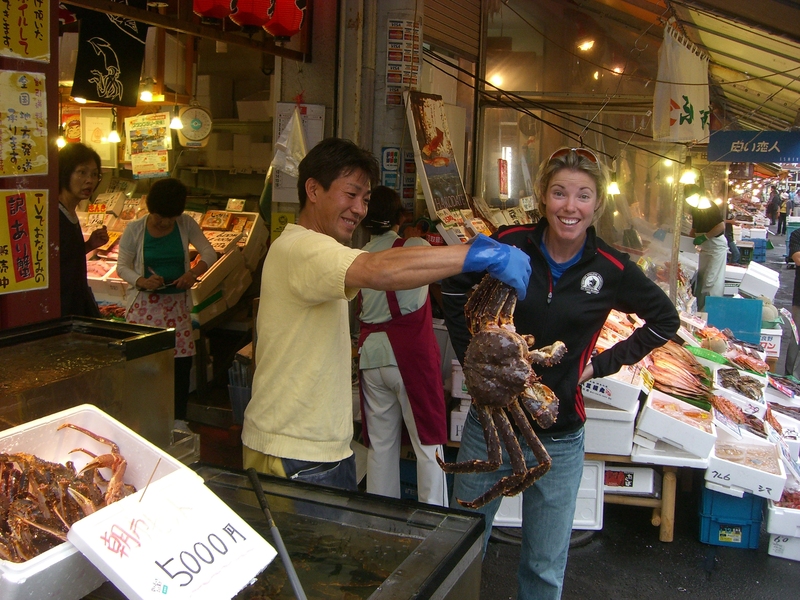 Unfortunately no one let us try the king crab since we were obviously tourists and not serious buyers. The king crabs were as big as my head with legs that extended far beyond. They could sell for about $100. 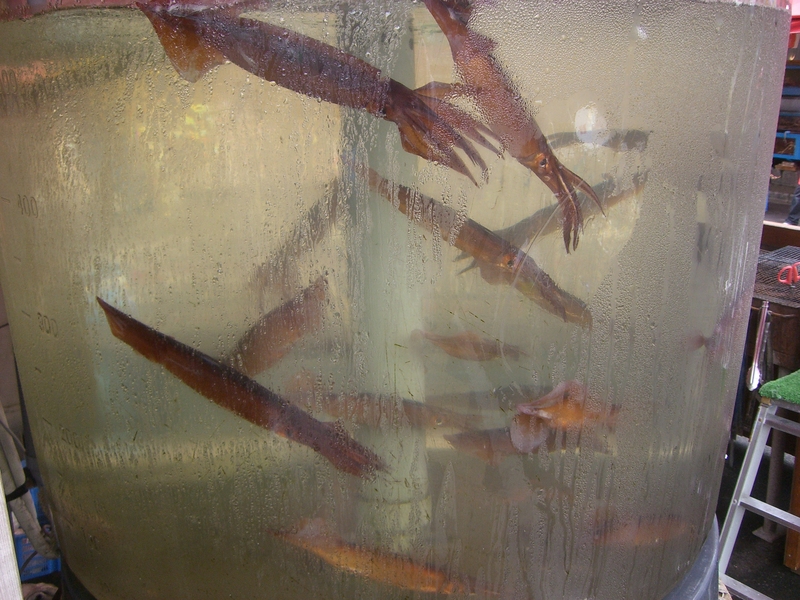 There were water tanks full of squid ready for sushi and calamari eaters. I watched a seller put a live octopus on the ground that made a valiant escape attempt while their backs were turned, but he was soon scooped up and bought by the next customer. Dave and I walked up and down the aisles admiring the variety of sea creatures we had never seen before. 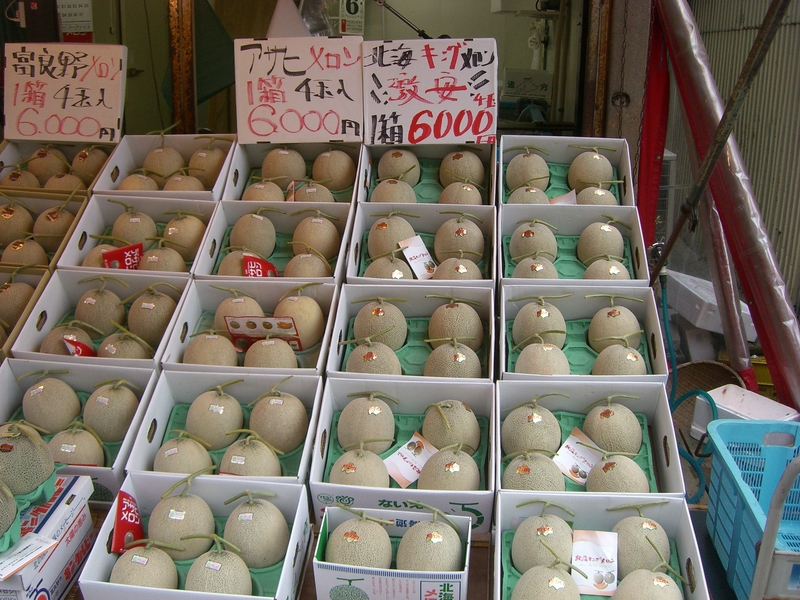 There were several stands that were also selling a type of melon. They looked to us like normal cantaloupes, but the vendors took great pride in packaging these melons that were meant as very special gifts for maybe corporate functions or dinner parties. A box of four melons was priced between $60-80 depending on their size. We walked away with a lot of pictures, but only purchased a bottle of Hakodate red wine as a souvenir. Our hotel was still offering their free Japanese breakfast when we returned. We picked up trays from the stack and stood in line to be served a rice ball, which is sticky rice mixed with egg, spices, and vegetables formed into a tight ball wrapped in seaweed paper. We had pickled cucumbers, turnips, and unknown fruits, miso soup, coffee, and juice. When we reached the end of the line there were no empty tables left. A Japanese couple was nice enough to motion over to us to sit with them. We could not communicate with them past the pleasantries of “good morning” and “How do you do?” which was fine as they were busy reading the newspaper and enjoying their coffee. Unfortunately, chopsticks were the only utensils available to use. I gave our neighbors a nice laugh as I picked up a pickle only to flip it over and off the table. The wife reached over to politely change my hand position on the sticks. I grabbed another pickle mentally willing it to make it to my mouth. Dave and I spent the rest of the day and the following morning touring the city. Dave navigated their public transportation system and we hopped on and off the city trolley all day seeing different sites described in our brochure. We sat down to read our books and enjoyed a picnic in a large open city park and watched other people enjoying their Sunday afternoon. There were people taking naps on the lawn, others playing with frisbees or tossing baseballs, cyclists were zooming by talking on their cellphones, but most of the pedestrians, adults and children alike, were enjoying ice cream cones. The weather remained sunny and warm all day as we toured four different historical church buildings and stopped for our own ice cream break. 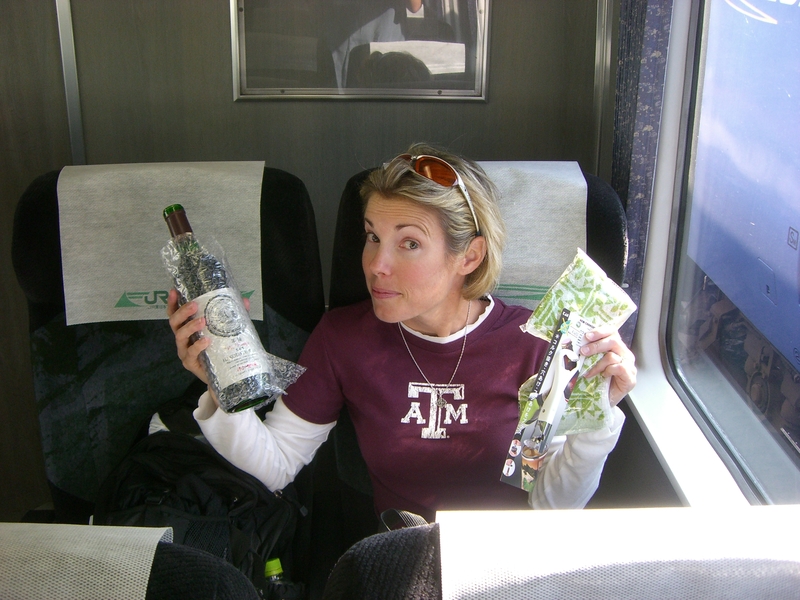 We were sad to catch our train Monday afternoon, but we celebrated our fun mini-vacation on the ride home with our bottle of wine and some leftover peanut butter and jelly sandwiches. We arrived in Misawa after dark and opted to hire a taxi cab to drop us off at the base. We stumbled into our base hotel room full of new stories, photographs, and memories, not to mention, completely wiped out. ← May I have a fork, please? I finally got a chance to read this latest installment. Again it was wonderful and I felt I had actually share the adventure with you. Please keep up the good work.